Exciting, exhilarating and exceptional describe the play at the Seneca Gaming and Entertainment Hall. 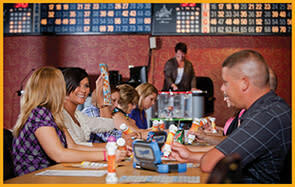 Seneca Bingo offers big cash pay-outs, cars, trucks, trips and more. State of the art gaming machines are ready to play around the clock on weekends and convenient hours are offered during the week.